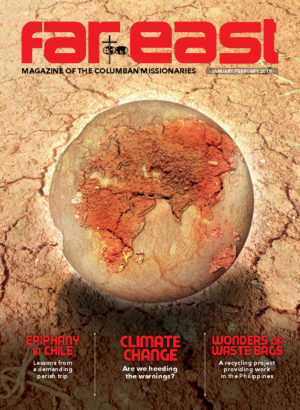 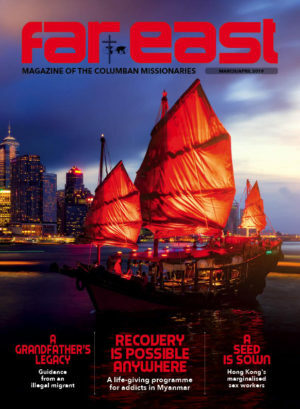 A new ministry overseen by Fr Gerry Neylon involves reaching out to relatives of Columbans who served in China in the past to keep their memory alive as well as informing them about what Columbans are doing today in China. 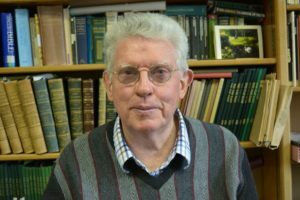 Fr Gerry Neylon came home to Ireland just before Christmas 2016 after serving 18 years in China, 18 years in Taiwan prior to that and another four in South Korea at the very outset of his missionary life. 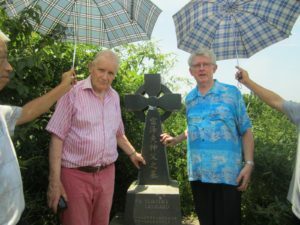 Fr Gerry Neylon at the grave of Columban martyr Fr Timothy Leonard in China with the priest’s relative John Leonard.